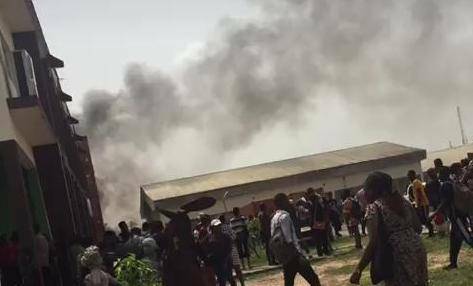 According to pictures from some eyewitnesses, the Creative Art Department of the University of Lagos went up in flames on Tuesday evening. The fire emanated from the generator house. Two buses carrying fire-fighters were deployed to the scene to manage the situation.